Replacement bezel for an aquaero 5 XT. The aquaero 5 ships with a stainless steel bezel, using this black anodized aluminum bezel, the aquaero perfectly matches any black PC case. The aquaero 5 XT is not included in delivery and must be ordered seperately. The second figure shows the bezel mounted to an aquaero (not included in delivery). 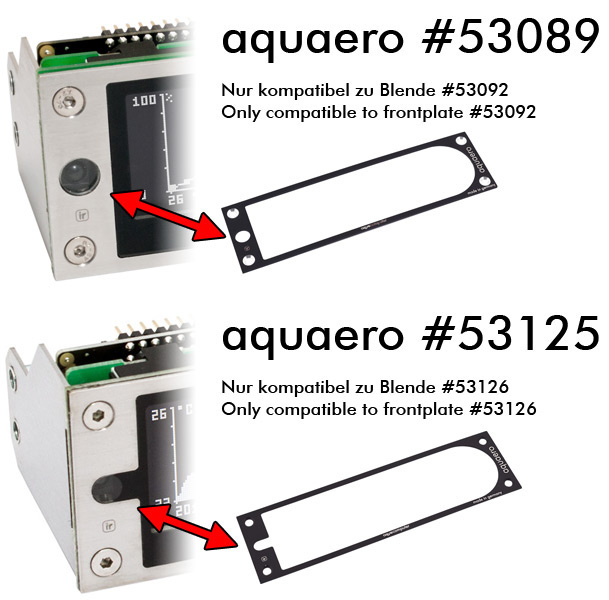 There are two different variants of the aquaero 5 XT available (see comparison photo). Please make sure to order the correct frontplate for your aquaero! 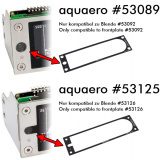 The frontplate with article number 53092 is compatible to aquaero 5 XT with article number 53089. 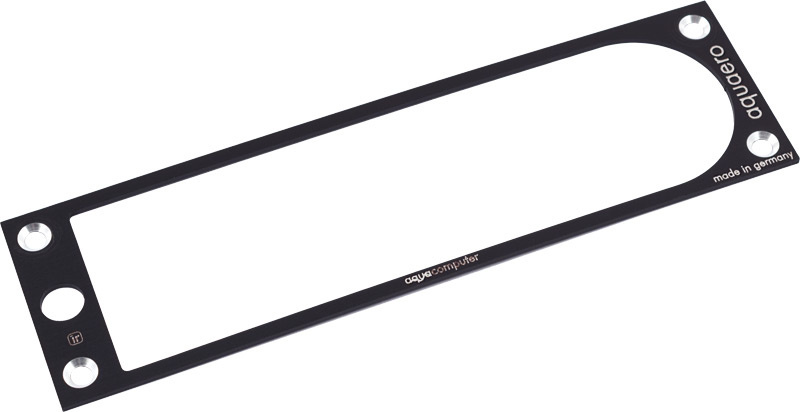 The frontplate with article number 53126 is compatible to aquaero 5/6 XT with article number 53125/53146/53206.